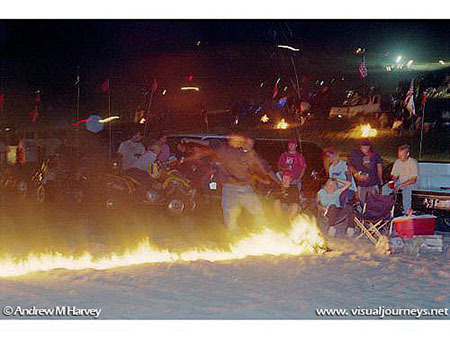 Gasoline poured into the sand and then ignited serves as daring entertainment to drive through. This man chooses to simply roll through the fire. Gasoline poured in the sand destroys habitat for many dunes creatures.